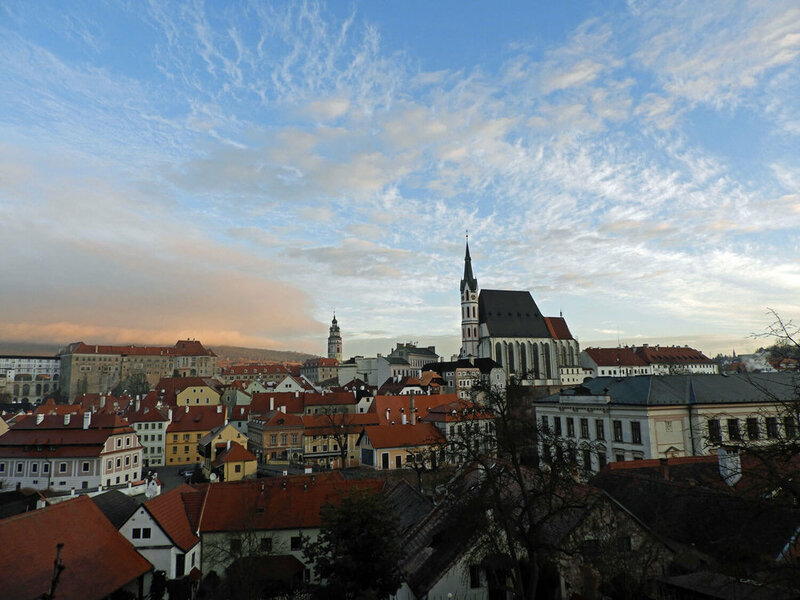 Dating back to the 13th century, Český Krumlov is a designated UNESCO World Heritage site. 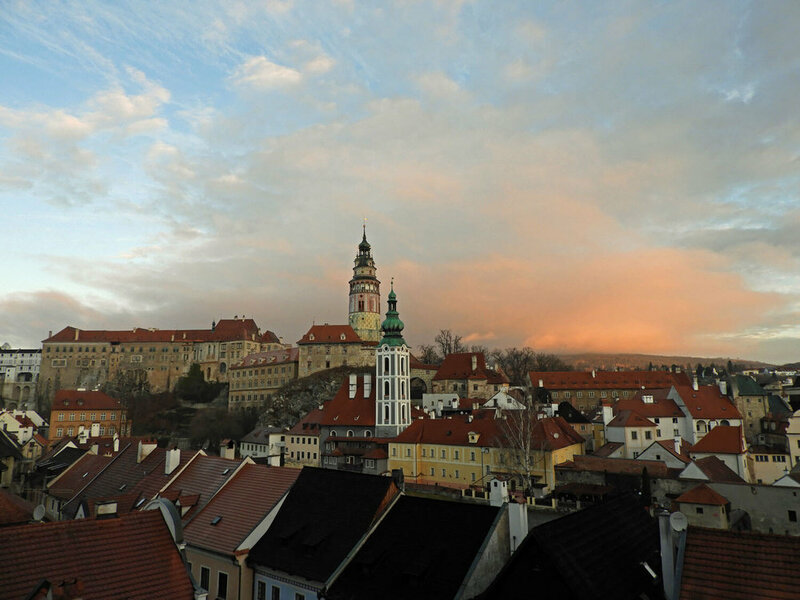 Lonely Planet’s characterizes Český Krumlov as a “little like Prague in miniature”, but we beg to differ. The atmosphere and landscape are completely different and for that, we wouldn’t even put the two cities on the same playing field. Situated in the southwest corner of Bohemia, Český Krumlov does not disappoint. 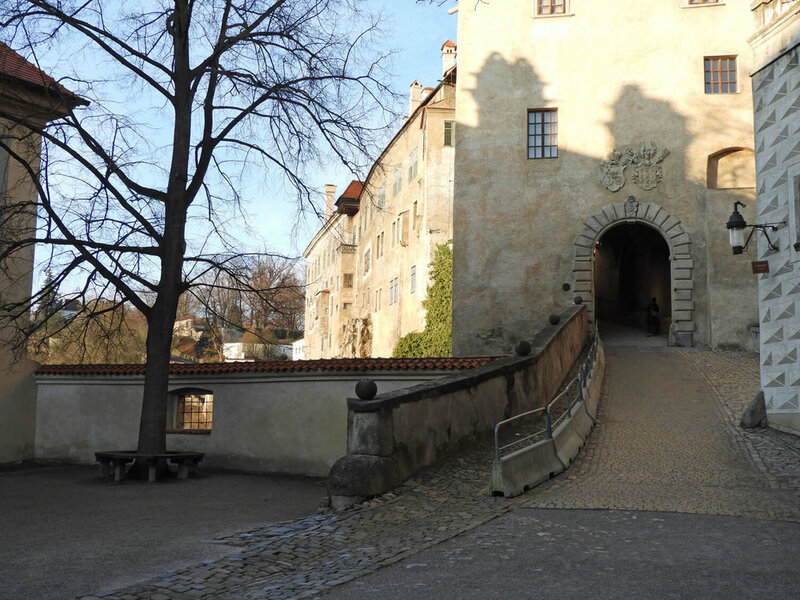 It is complete with Renaissance and Baroque buildings flanking the streets, a quaint town square, a meandering river, and a stunning castle on the hillside above. All of which, make it one of Europe's most picturesque, fairy-tale towns. One can easily walk from one side of the town to the other in 20 minutes, but don’t let its size fool you. There is plenty to discover within its winding cobblestone corridors. Our top tip: get up with the sun and wander the streets while they are still empty. Be sure to check out Seminární zahrada. Here, you’ll admire the terracotta rooftops below during the morning glow, and gaze at the castle across the way. 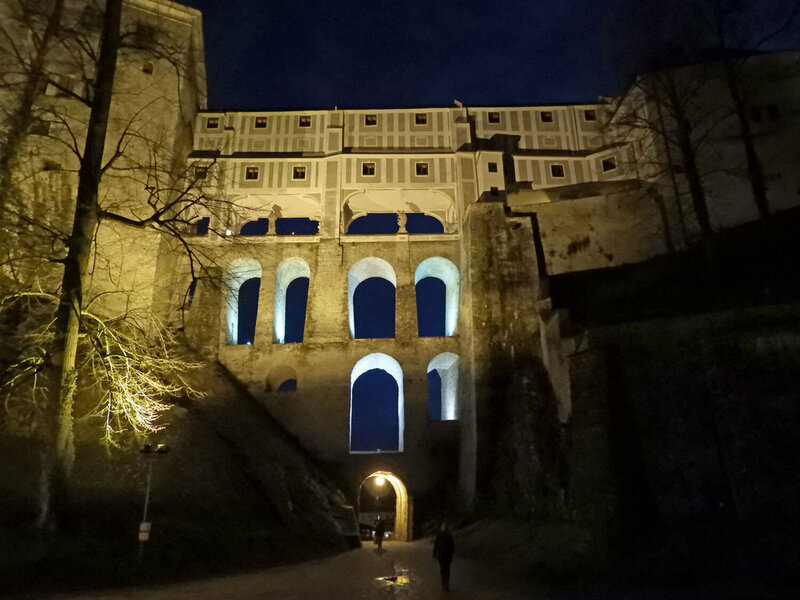 Don’t miss the Lazebnicky Bridge (Barber's Bridge), the Lavka pod Zamkem bridge, and walking through the various courtyards and covered walkways of the castle. Based on its location, Český Krumlov is best enjoyed during an overnight stay and could easily be added to a road trip from Prague, Munich, or Vienna. There are a few car parks close to the historic city center, but if you know you will be staying overnight, why not include parking with your accommodations? Accommodations and food are some of the greatest expenses while traveling; however, you don’t need to worry about that here. For a double room in Český Krumlov we paid a super cheap rate (though in the off-season) of 800 CZK/30 EUR per night. Upon rolling into town we stopped into the Penzion Landauer where we were told 1000 CZK/40 EUR for one night would get us secure on-site parking, breakfast and dinner. What a steal! Note: dinner was not included. Though she tried, the receptionist’s English wasn’t so great; however, our stay included a delicious Breakfast. For dinner, we ate at Jakub Restaurant where drinks, an appetizer, two entrees and dessert cost us around 800 CZK/ 30 euro total (we love cheap eats!). When traveling during the off season, it’s safe to arrive without booking accommodations beforehand. However, we hear Český Krumlov attracts quite a crowd during the summer, so if that’s your time frame, plan ahead. Regardless of when you visit, you are sure to be captivated by the magic of this medieval gem.